Sauté the onions in a saucepan until translucent, add the ginger and paprika powder and fry with the onions for around 1 minute. Pour on the stock and bring to the boil. Add the rest of the seasoning and the meat. Stir repeatedly and simmer for around 2 hours until tender. When the 2 hours are up, refine with cream that has been stirred until smooth. For the dumplings, beat all of the ingredients together in a bowl to a smooth dough using a wooden spoon. Allow to stand for 10 minutes before pressing the dough directly into boiling, salted water through a special sieve for making small dumplings (German: ‘Nockerlsieb’). Strain as soon as the dumplings rise to the surface and toss in a pan with a little butter and the chives. 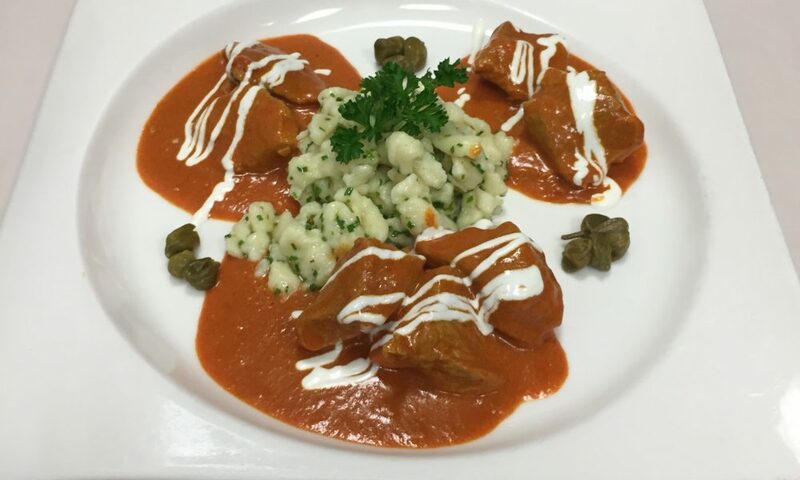 Arrange by placing the dumplings in the middle of the plate and serving the goulash around them. Garnish with capers and sour cream. 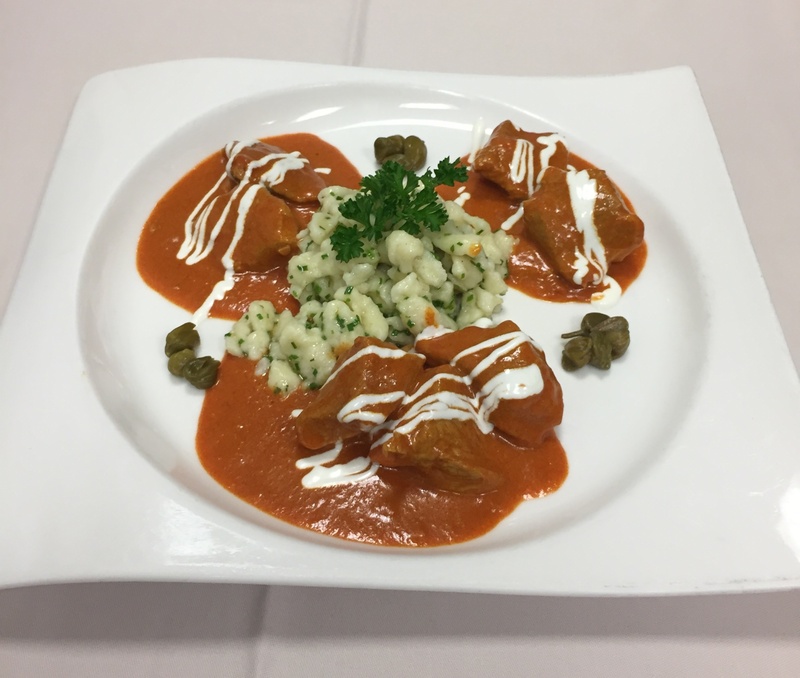 The „Emperor’s veal goulash“ has its name rightly. In the 19th century, the term „Kaiser” (emperor) was chosen by cooks for dishes to distinguish fare of special quality. Moreover, ginger was very expensive during the imperial era and not affordable to every simple townsperson. Therefore, ginger was reserved for the aristocracy and the emperor at the time, which likewise led to the naming.